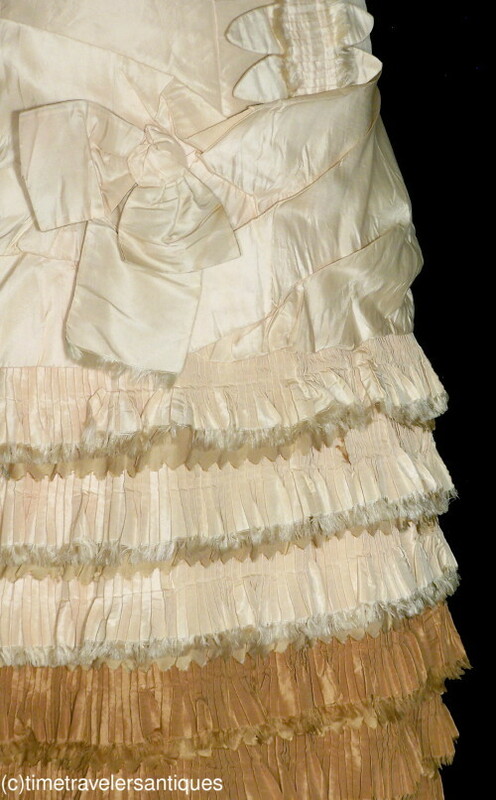 An elaborate original circa 1882 young miss's cream silk taffeta bustle dress with a stylish slender silhouette, pleated and fringed ruffled accents at the collar, the cuffs, and at the five tiered cinnamon colored hem, and with a tab and ruched vertical accent to the front. A pleated drape with bow accents and a self fabric button back closure. 12" from shoulder to shoulder, a 32" chest, 25" waist, and 46" from shoulder to front hem. 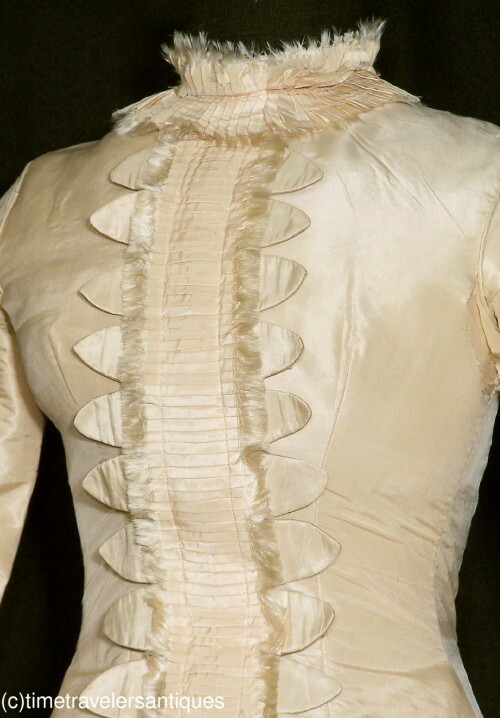 In clean as found condition, with seams to the back of the bodice that were let out when it was made as evidenced by the construction, a few pin dot age flaws, a few light spots to the skirt, surface failure at the armscyes and underarms along the perspiration lines, some surface fray at the sleeve tops, a tear to one cuff ruffle, and a partial facing at the hem. All is reflected in the reserve price for this charming Victorian age young miss's bustle dress.